I hope you are doing well and enjoying the beautiful (and unpredictable) spring weather. It was great to see some of you at the ACHE Congress in March – an event that is always very well-orchestrated and features high caliber speakers as well as great networking opportunities. If you have not been to Congress, I encourage you to make plans to attend next year. Members of the WSHEF board have been working on programs, networking and advancement opportunities and have some great offerings in the works. I have highlighted a few items below regarding WSHEF that may be of interest to you. Advancement Information Sessions – In an effort to meet the needs of WSHEF members seeking to advance to Fellow, we are working on ways to help. Thanks to Steve Saxe and Karin Larson-Pollock, we hosted our first Advancement Information Session webinar a few weeks ago. There was strong interest in the first session and we plan to host more of these. This is a great way to learn more about what it takes to advance to Fellow in ACHE and hear from individuals who have successfully done so. If you have thought about advancing, plan to participate in the next offering. Additionally, I want to remind you that until June 30, there is a special offer from ACHE. If you are interested in advancing to Fellow, you can save $200 on the Board of Governors Exam fee. To learn more, visit ache.org/FACHE to apply conveniently online and learn more about the offer, details on requirements and Exam study resources. Organizational Champions – We are wanting to make sure we have representation from the various healthcare organizations throughout our state. To that end, we are looking for WSHEF members to serve as organizational champions. 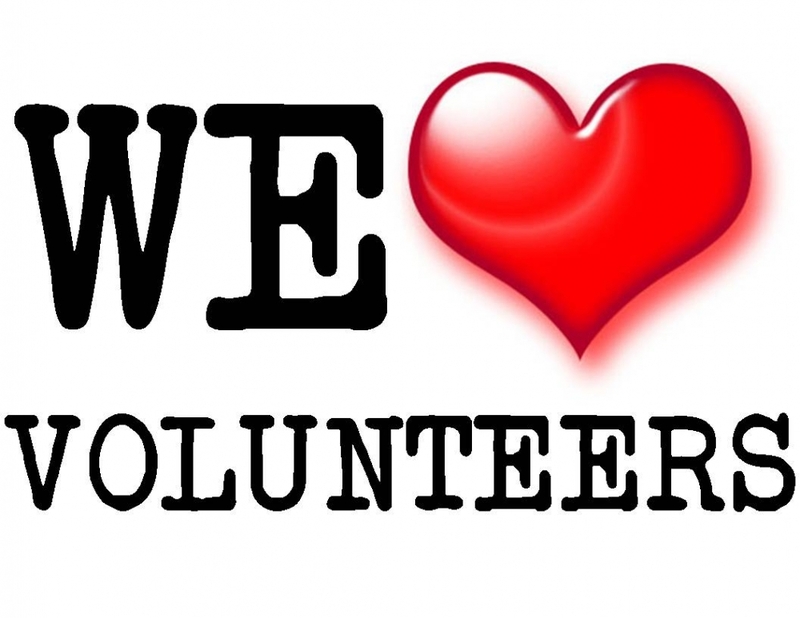 This would involve staying connected to the WSHEF board and activities, engaging current WSHEF members and non-members in our events, and providing feedback regarding our programs and activities. If you are interested in serving as an organizational champion, let me know and we can talk with you more about the role and your interest. This is a great way to get involved without a big time commitment. Board Retreat in July – Annually, the WSHEF Board meets in January and July. This July we will begin the process of outlining our WSHEF strategic plan for the next 3 years. We would love to hear from you on the direction you would like us to be taking. If you have input you would like the board to consider, please send it to any of the board members before July 13. Diversity Program Opportunity – The application process is open for the Thomas C. Dolan Diversity Program (apply by July 9, 2018). During this yearlong program, scholars benefit from specialized curriculum opportunities to develop strategies to successfully navigate potential career challenges and enhance executive presence. They will receive one-on-one interaction with a specially selected mentor, and participation in formal leadership education and career assessments. Enhanced self-awareness, critical leadership skills and an expanded network of leaders will help prepare scholars to ascend to C-suite roles in hospitals, health systems and other healthcare organizations. Visit ache.org/ExecutiveDiversity for more information or to apply. If you have questions about the program, please contact Cie Armstead, director, Diversity and Inclusion, at carmstead@ache.org or (312) 424-9306. WSHEF Annual Breakfast Meeting: Save the Date & Bring a Colleague - The WSHEF Annual Meeting/Breakfast will be on October 11, 7:00 a.m. at the Seattle Marriott Waterfront. Please save the date and plan to bring a colleague with you to introduce them to WSHEF/ACHE. More details on the presentation/speaker will be sent out closer to the date. Additional information on upcoming events will be sent out as details are finalized, and will be available on our website. As always, please feel free to reach out (wshef.president@achemail.net) and share your thoughts and ideas on how we can best meet your educational and networking needs. Wishing you a lovely summer and hope to see you at an upcoming WSHEF event. Your WSHEF Chapter Leadership team has been hard at work planning for the upcoming year and we are always looking for programming ideas to bring to you. Chapter involvement is as simple as attending a couple events a year or as fun as volunteering your time with a diverse group of engaged leaders – join us by visiting our website at wshef.ache.org. Your next opportunity is June 19 where you can join WSHEF/AHLF for a panel discussion: “How Healthcare Organizations Create Equity in the Community.” The moderated panel will focus on Equity and the impact on healthcare delivery and outcomes in our communities. It is energizing to work with so many colleagues who are developing new care models to care for our most vulnerable patients and I hope to see you there. While there is no Cluster education sessions in WA this year, there are 2 events that could enhance your professional and career growth a short flight away or a scenic drive. There are Cluster opportunities in Alaska August 13-16 and Vancouver, B.C. September 24-27. If travel is not in your future, take advantage of the Board of Governors Exam Fee Waiver by June 30 to save $200 and make 2018 the year you achieve board certification as an ACHE Fellow. Thank you for being a member of ACHE; I look forward to meeting with you at a future event. Connect with me via Twitter @WAStateRegent. Share ACHE’s new FACHE video and help inform and raise awareness about the value of the credential to their healthcare management career advancement. Members can apply for Fellow status conveniently online and learn more about the steps and requirements needed to advance by visiting ache.org/FACHE. 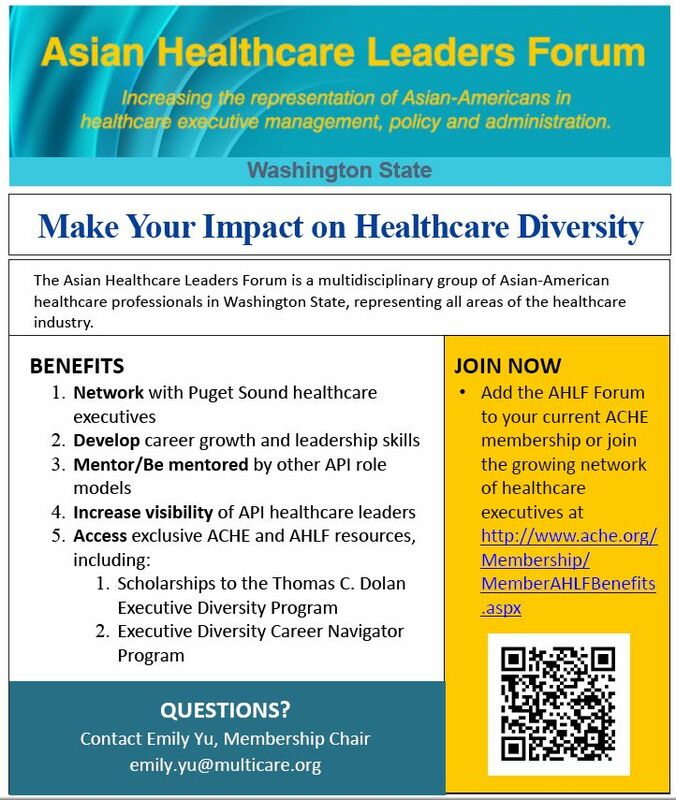 Please help spread the word to your members about the open application period (May 7–July 9) for the 2019 Thomas C. Dolan Executive Diversity Program by pointing them to ache.org/ExecutiveDiversity. During this year-long program, scholars benefit from specialized curriculum opportunities to develop strategies for successful navigation of potential career challenges and enhance executive presence, one-on-one interaction with a specially selected mentor, and participation in formal leadership education and career assessments. Enhanced self-awareness, critical leadership skills and an expanded network of leaders will help prepare scholars to ascend to C-suite roles in hospitals, health systems and other healthcare organizations. ACHE is beginning the election process for new Regents to serve a three-year term on its Council of Regents, the legislative body that represents ACHE’s more than 48,000 members. The Regent is the ACHE leader within a specified geographic jurisdiction elected by the voting members to represent the interests of members in the governance of ACHE and its chapters. Recommended knowledge, skills and experience include knowledge of the programs, products and services of ACHE and the local chapter(s); knowledge of the local healthcare community including senior-level healthcare executives, state and regional healthcare associations; negotiation, influencing and policy decision/analysis skills; and personal organizational and planning skills. Go to the Member Center for full position descriptions for geographic Regents and federal sector Regents. The descriptions include a summary, scope of responsibility, meeting requirements and other commitments. All Fellows who wish to run for election must submit a letter of intent to elections@ache.org by Aug. 24. The letter of intent must include a current business title, business address, email address and telephone number. If you submit your letter of intent and haven’t received confirmation of its receipt by Aug. 31, contact Caitlin E. Stine, communications specialist, Division of Regional Services, ACHE, at (312) 424-9324 or cstine@ache.org. ACHE’s Healthcare Consultants Forum Member Directory serves as a resource for healthcare executives and organizations seeking the services of a healthcare consultant with a specific area of expertise. Are you a healthcare executive searching for a consultant? The Directory’s robust search functionality can help identify ACHE Consultant Forum Members who may meet your needs. Are you a Consultant looking to gain visibility with decision makers? Join the Healthcare Consultants Forum, and select your primary area of expertise. Questions? Please contact Liz Catalano, marketing specialist, Division of Member Services, at ecatalano@ache.org or (312) 424-9374 or Erika Joyce, assistant director, Division of Member Services, at ejoyce@ache.org or 312-424-9373. ACHE is pleased to offer the Board of Governors Exam fee waiver promotion to eligible ACHE Members seeking to take the next important step for their healthcare management careers. Healthcare leaders who hold the prestigious FACHE credential are recognized for their commitment to lifelong learning, competence and ethical decision making. In fact, more than 75 percent of Fellows feel better prepared to handle the challenges of the evolving healthcare management landscape. 2. Submit the application and $250 application fee. Depending on your ACHE profile, many of the required fields may already be completed for you. All required documents, including your application, fee and references, are due June 30, 2018 in order to qualify for the waiver. The American College of Healthcare Executives is inviting authors to submit proposals to present their research at the 11th annual Forum on Advances in Healthcare Management Research. This session will take place during ACHE’s 2019 Congress on Healthcare Leadership, March 4–7. The lead presenter of each selected proposal will receive a complimentary registration to Congress. Please visit ache.org/Congress/ForumRFP.cfm for the selection criteria and submission instructions. Submit your up-to-400-word abstract by July 2. When you share the value of ACHE membership with your colleagues through encouraging them to join or advance to Fellow status, you can earn points to obtain rewards such as gift certificates toward ACHE education programs, a polo shirt, backpack tote, water bottle, umbrella and even a chance to be entered into a raffle for a free Congress registration when three or more are sponsored. Each time a person joins ACHE or advances to Fellow status and lists your name as a sponsor on the application, you earn a point. The more points you earn, the more rewards you can receive. Points expire on Dec. 31 of the year after they were earned (e.g., a point earned on Jan. 1, 2018, will expire on Dec. 31, 2019). You can check your available points and discount program coupon codes in the My ACHE area of ache.org. To ensure colleagues reference you, referral cards are available that you can pass out so you receive the credit you deserve. When you help grow ACHE, you make a strong statement about your professionalism and leadership in the healthcare field and also strengthen the organization. For more information on the program, go to ache.org/L2L.